Photos posted on Twitter by the Zimbabwe Red Cross show the remains of an incinerated bus. In June last year, 43 people were killed in a bus crash in the north, on a highway leading to Zambia. 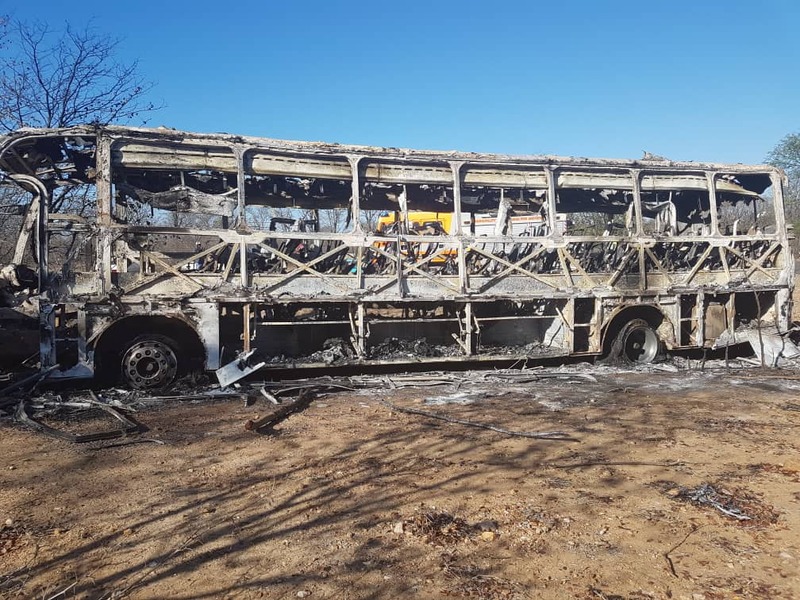 Police in Zimbabwe say more than 40 people have been ... more Photo: STR, AP A fire engine is parked near to a burnt out bus after a bus accident in Gwanda about 550 kilometres south of the capital Harare, Friday, Nov. 16, 2018. 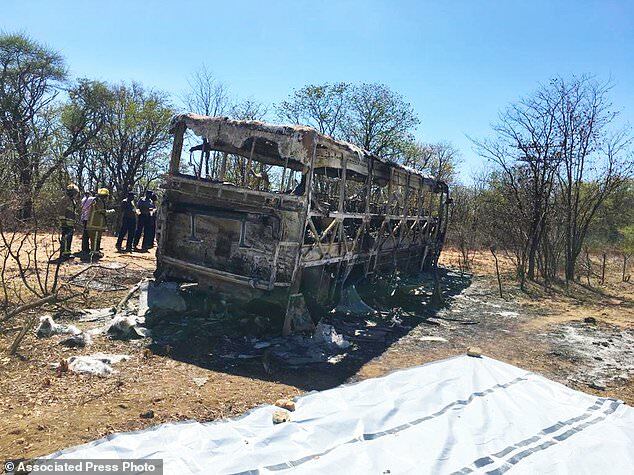 Last week, a collision between two buses in Zimbabwe killed 50 people and injured about 80. The Red Cross said its teams responded to a "horrific accident" involving a bus heading to neighbouring South Africa about midnight local time. Police in Zimbabwe say more than 40 people have been ... more Photo: STR, AP Passengers in Zimbabwe caught in bus fire; 40 killed HARARE, Zimbabwe (AP) — Fire swept through a passenger bus in Zimbabwe, killing more than 40 people and injuring at least 20, some of whom suffered severe burns, authorities said Friday. 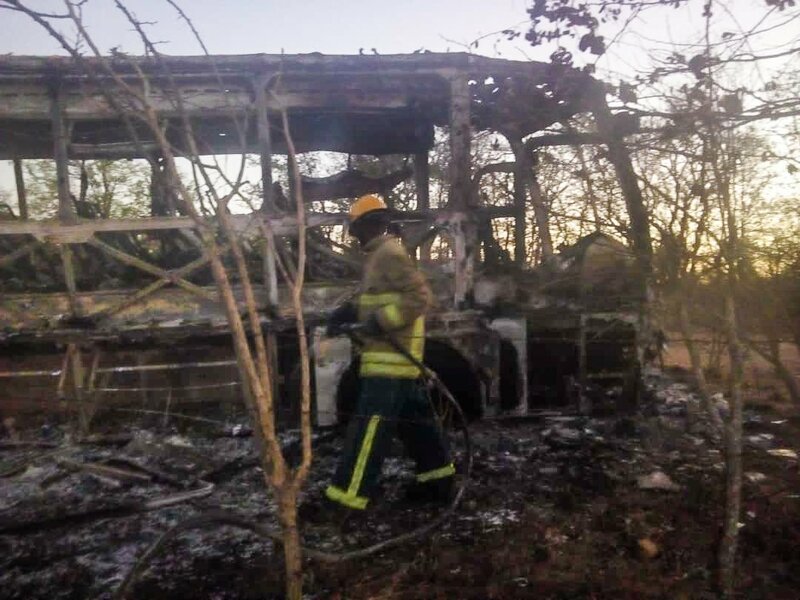 less A fire engine is parked near to a burnt out bus after a bus accident in Gwanda about 550 kilometres south of the capital Harare, Friday, Nov. 16, 2018. 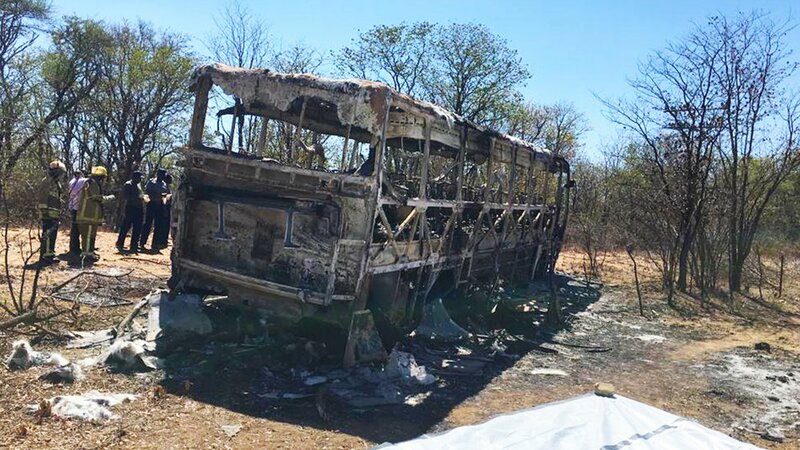 At least 42 people are feared dead after a bus caught fire in Zimbabwe, with police forced to pull the charred remains of passengers from the vehicle's shell. Red Cross volunteers have been responding to a fatal bus accident in #Zimbabwe en route to South Africa since midnight last night. 24 people have been taken to hospital. Our thoughts are with the families of those injured and others who have lost loved ones. The accident happened in Gwanda district, about 550 kilometres south of Harare, Zimbabwe's capital.